Northwich Guardian, Feb 2017 - "This is a god-send"
Chester Chronicle, May 2016 - Brightlife funded Cheshire Wildlife Trust project to help people gain access to the Great Outdoors in Malpas. 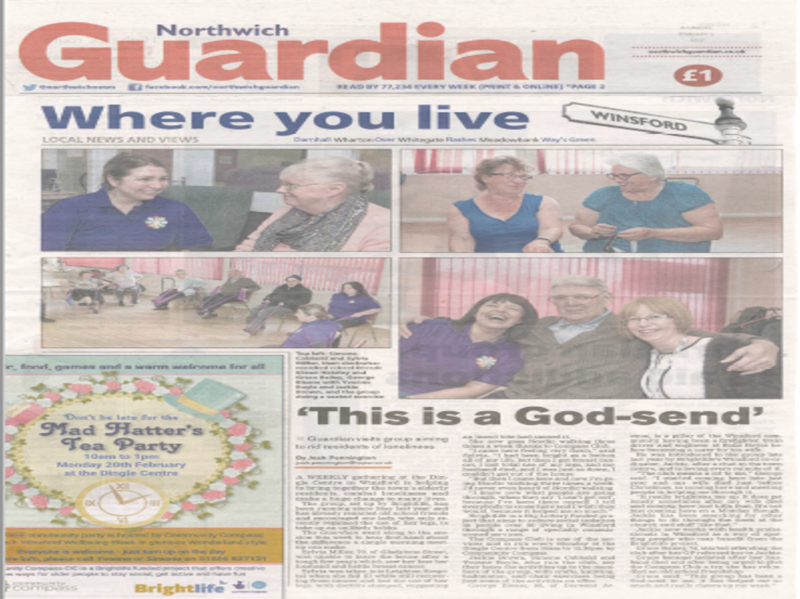 Winsford Guardian, Feb 2016 - New scheme launched to tackle loneliness and social isolation among elderly. 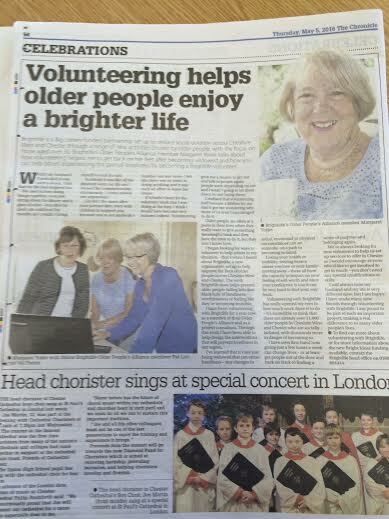 Chester Chronicle, Oct 2015 - Five Ways to Wellbeing - tackling the important issues of isolation and loneliness, part of the Brightlife Festival.